A complimentary transfer service between Malta airport and Cavendish School of English – Valletta. 54 English lessons of 40 minutes each (36 hours total). Accommodation is available in private Maltese accommodation or the Guest House (3 star hotel), with full board. During the holidays, students may share accommodation (possibly with students of the same nationality) with no more than 2 or 3 beds per room. Of course, we always try to accommodate to the student’s age and personal wishes. Full-day excursion to Sicily (Italy) by speedboat and a visit to the volcano, Mount Etna. 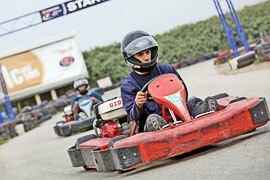 This option includes a trip to a large bowling alley, an English-language film in Valletta’s largest cinema and an exciting Go-Kart racing challenge. Who’s the fastest racer in your group? For just €35, you can save over €10 on your trip while taking part in all activities, as well as have so much more fun with your fellow students! English is the second official language of Malta, which is spoken over the whole country – a legacy of the 164-year-long British colonial era. 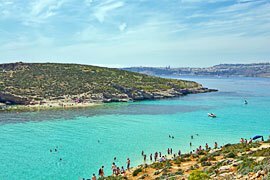 The guaranteed hot summer weather and beautiful beaches, in addition to the widely spoken English language, makes Malta a fantastic place to learn. This southern European island country, located south of Italy in the Mediterranean Sea, has been the ideal place to study English for the last few decades. Due to the longstanding occupation of the country by the British, most Maltese people speak English fluently. Malta’s warm sea and Mediterranean climate, well-developed hotel and cuisine infrastructure and culture go a long way to explaining the success of this European holiday hotspot. Why choose Cavendish School of English? We recommend that you to look at the services of other language tour operators. If you compare their services, to those offered by Cavendish School of English, you will see that you are getting a lot more for your money with us. Some other language tour operators who seem favourable at first glance may only offer 2-3 trips within a 2 week stay. Instead, Cavendish School of English offer a trip almost every day! These outings are part of the package and are not only exciting and entertaining but also play an important role in the understanding and learning of a language. We believe that studying a foreign language is best done in the location that speaks it. It is exactly that reason that makes a historic country like Malta an ideal choice – where you can listen to the English guides and chat with the locals, that make a language tour so meaningful. Of course, you can also experience the culture and history on offer, not to mention the enjoyment of the experience itself. If you consider that a coach costs roughly the same price as a detached house, you can imagine that renting one is, likewise, an expensive affair. The trips are thus the most expensive part of a language tour and, let’s be honest, what reason is there to offer so few trips? Why would other language travel providers allow students not to sit all day on a bus? On the one hand, the majority of trips only have a short-time at their destination. On the other hand, students have a choice whether to participate in a trip, do sports or any other activity with their peers. Our experience shows that 98% of our students prefer to choose the trips, as they can do sports at home and do not need to travel abroad especially to play their favourite sport. But what makes the quality-price ratio at Cavendish School of English so much better? We do not cut corners! We can offer prices as low as we do because we own all of our own school buildings, coach services, tour guides, disco hall! We only hire from third-party providers if necessary. We pass on this cost advantage to our customers. Over 32 years of experience in teaching the English language in England and Malta. Cavendish School is a family run business in which 6 family members actively participate in the business and we personally take responsibility for each student. We also have a Welfare officer who is entirely dedicated to looking after Cavendish students. Our language school in Valletta is certified by the Malta EFL Monitoring Board. Cavendish School of English is also accredited in England by the British Council, English UK and is a certified member of the Regional Accredited Language School Association (RALSA). In addition, we are a certified language tour operator by the German association FDSV and DIN Certco verified (DIN EN 14804). Cavendish School of English is one of only two schools who have been granted a licence to operate out of Malta’s beautiful capital, Valletta. With us you will get a clear location advantage over that of other schools on the island. 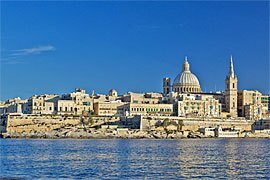 Almost all others are located in the towns of Sliema and St. Julians. These locations are just like any other tourist spots: loud, crowded and full of concrete hotels. Valletta, however, is a more authentic Malta experience: beautiful and medieval. It was founded in 1573 by the Knights of Malta. Most of the original architecture has been well preserved and can be seen wherever you look. The city was once a fortification, with high walls surrounding the peninsula, housing the Baroque style buildings safely within. Valletta is the smallest capital in the EU. Its biggest advantage is that it can be completely explored on foot. This charming capital offers a lively, cultural and economic centre, full of a variety of small pubs, cafes, shops and restaurants. Valletta has been chosen as the European Capital of Culture for 2018. There are many theatres and cinemas, including the oldest operating Baroque theatre in Europe. For children, Valletta is a much better choice over the other towns, Sliema and St. Julians. Valletta is also a great place to stay in regards to travelling across the rest of Malta. From the main bus station which is only a 4-minute walk from the school, you can easily find transport going to anywhere in Malta. The school itself is only 2 minutes from the main shopping street, but still a quiet enough part of Malta, right next to the French embassy. Cavendish School of English boats its own school building in Malta and full-time teachers. Most other language school operators do not own school grounds and therefore have little to no influence on the premises, accommodation, excursions or activities, which we believe is vitally important to providing a great learning environment. Lessons are held by our own qualified language teachers. Some non-accredited language schools often have regional university students as teachers. Even though they are native speakers they lack the appropriate qualifications to be able to teach language skills to foreign students. In addition, we do not make our group leaders or tour guides teachers, they are exclusively responsible for the supervision of the group. Unlike almost all other language schools, we provide an online placement test prior to the student’s arrival at our school. On one hand, this eliminates the nervousness that many students can feel before a test. On the other hand, and this is the main reason for this service, the students do not lose out on 2 or 3 lessons on their first day by being tested and evaluated. With the confirmation of your reservation, the student receives a special link and is asked to take the online placement test before their departure. Our students who are staying outside of Valletta will be picked up in the morning by our own buses, near their accommodation and taken to the school or planned outing. Later in the afternoon they’ll be brought back to their accommodation for dinner and picked up again for the evening’s activities, finally being returned for a good night’s rest. Girls will not be left unsupervised to walk long distances on a dark evening. No other language tour operators known to us offer this level of service. As well as fun lessons, there is something going on almost every day. Fantastic Excursions, fun-filled outdoor activities and evening entertainment; our students are never bored! All excursions are, in addition to our professional tour guides, also supervised by Team Leaders. Our Team Leaders accompany the students at all times, from their arrival at the airport in Malta, on all outings and activities, right up until their departure. There is always at least 1 Team Leader to every 15 students, watching out for their welfare. To ensure the safety of all of our students, we have an emergency phone number which can be called anytime, 24 hours a day, if any trouble arises. Students have a choice of accommodation when booking: in the University of Malta’s student residence or in a private guest accommodation. Our Summer courses are recommended for adolescents ages 13-17. Our students staying outside of Valletta, as described earlier, are picked up every morning from near their accommodation and returned there again. Students will also be transported to evening events and back. Students staying in private accommodation in Valletta will be housed only a short walk away from the school. Those students will get first-hand experience of the language, culture, and people more quickly and directly by staying with an English speaking Maltese home stay. Students staying in the Guest House will be placed into a 2, 3 or 4-bed room in a 3 star hotel. The provided meals are often dishes typical to Malta (breakfast, a packed lunch and hot dinner – including one drink per meal) which is an important part of experiencing any culture. Cavendish School of English is an international language school, playing host to students of many nationalities with only one language in common – English. This diversity in the classrooms is very beneficial in boosting the English language abilities of our students. 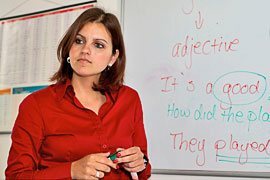 Our lessons are taught by qualified English language teachers (of at least CELTA qualified). Our students receive 54 lessons (lasting 40 minutes, totalling 36 hours). The maximum number of students in any one class is 15. Lessons can be held in the mornings and some afternoons. All students receive a course book appropriate to their level of knowledge and a certificate upon completing of the course. The main learning objectives are of our teaching is the development and expansion of communication skills, of English vocabulary and of listening and reading comprehension. Besides those, the deepening of English grammar and written exercises are also a priority. This activity programme includes numerous full and half-day trips, all of which are included in the price and lead by an experienced English-speaking tour guide. One of our excursions is a full-day hop-on/hop-off bus tour of the island. On this trip, students will be lead, making stops at many interesting attractions. 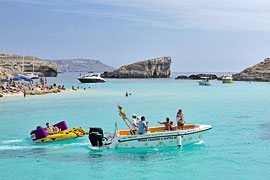 We also offer a full-day excursion to the neighbouring island of Comino, with a visit to the Blue Lagoon, a beautiful, turquoise water lagoon and surrounding caves: one of Malta’s famous highlights. There will also be trips to Marsaxlokk, famed for its hundreds of colourful fishing boats and a guided tour of Valletta, the Capital of Malta. We also offer trips like a boat tour through the Grand Harbour, a treasure hunt in the medieval Mdina (suitable for all ages), a ferry trip to Sliema full of shopping opportunities and a visit to Splash and Fun Water Park (with many water slides which are perfect for cooling down on a hot day). Spend a day on a boat trip to the Blue Grotto, a collection of small caves only accessable by boat, where the light’s reflections on the crystal-clear water creates beautiful patterns inside the caves. This is combined with a visit to Popeye Village, a fake village which was built by Hollywood in 1980 as a set for the Popeye film, starring Robin Williams, before being converted into what is now a theme park. Another fun highlight of your stay in Malta will be a Go-Kart race (only when booked with the all-inclusive option). While all other trips are included in the price, there is also an optional trip that we offer to Sicily (Italy). Participants will travel for 90 minutes by boat to Pozzallo, where they can then take a guided bus tour of the famous volcano, Mt.Etna. This full-day trip also includes a stop in Taormina, a beautiful place in the slopes by Sicily, which features an old Roman amphitheater which was itself built upon an existing ancient Greek theatre. This excursion costs €130 and is booked locally. Go clubbing in Malta! Our entertainment team will organise several parties and other evening activities. There will be a welcome party where students can get to know each other, several international student parties held at various clubs and at the end of their stay, a farewell party in one of the trendiest discos in Malta. 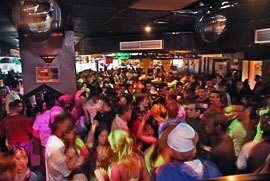 We guarantee a great party atmosphere (with the exception of alcohol). 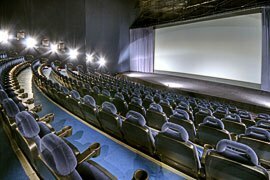 In addition, our all-inclusive package students will go to the largest cinema in Valletta to watch an English language film, will enjoy a karaoke evening and after a long day, be able to relax with a quiet film evening, a game of bowling or spend some time at the beach.